edit: I just tried.. did not work.. still at +10. 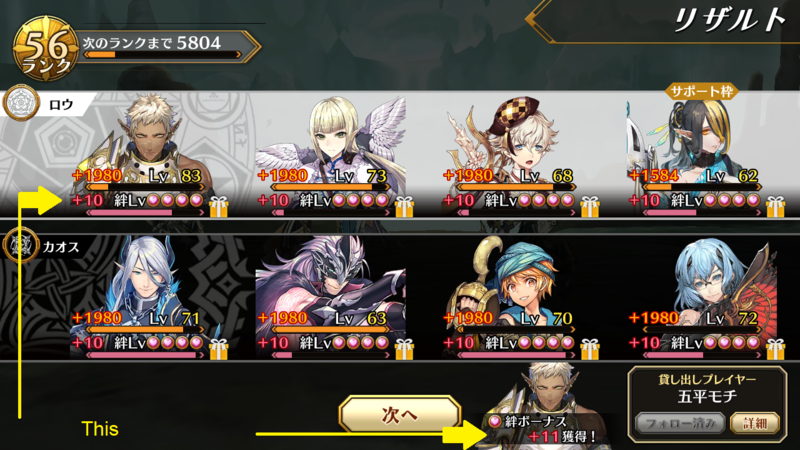 You can check your progress by tap holding your character icon and see プロフィール (Profile) tab. Popona, the virtual youtuber for the Idola game, playing... Alien Isolation. This is canon in IDOLA. It's an official video in the official Popona channel, so it's official. There might be (Giger's) Aliens in the universe of Idola. So I just started playing a few days ago and have a couple of questions I couldn't find. Whats the best way to get Idola points for PSO2? What are the best ways to level up: daily missions or redoing story missions? Also anyway to disable animations to shorten some of the battle times? Last edited by foolishking; Jan 20, 2019 at 12:52 AM. 1.Play the game normally, doing quest, making and battleing Idola. 3. There's no way to disable it, but you can turn on skip in option to skip any animation by player or enemy in the battle screen option. Anyone know the conditions for the achievements on the 3rd tab? I think most of them have a deadline of next maintenance. The simplest way to put it would be to clear all of the ongoing event missions 3 times each. Then you need to summon 10 idola and fight 50 different idola from other players. If you haven't started sommoning, you're going to have to summon mainly fire type idola to ensure that they don't get ignored..
What are the conditions for the following achievements? Anyone know the conditions for the achievements on the 2nd tab? I think most of them have a deadline of next maintenance. Thanks in advance. Last edited by diamondx; Jan 20, 2019 at 10:13 AM. None of those have a deadline. Only achievements in that 3rd tab ever have a deadline. Anyway, the ones in your picture are asking for 30 character limit breaks, and 20 characters at max bond.